Blåtand supplies the food industry with frozen berries and fruit preparations for flavouring dairy products, ice cream, baked goods and other foods the natural way. We offer both unique flavours and products prepared to customer-specific recipes. Blåtand’s carefully selected and individually frozen berries and fruit preparations are of the highest quality and are valued by customers in the food industry looking for natural flavours for dairy products, ice cream, baked goods and other foods. 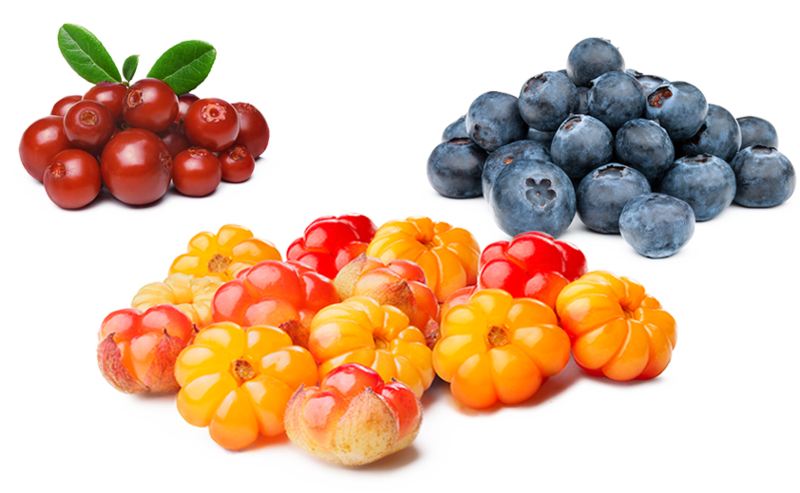 We specialise in bilberries, lingonberries and cloudberries hand-picked in the forests of Sweden, but we also offer many other flavours and flavour combinations. Our flavour centre has 30 years’ experience of producing top-notch fruit preparations and working closely with customers to develop the right recipe for a truly special product. Cleaned and sorted IQF berries. Classes: Extra, Class 1, Class H and Press. Pack sizes: 25 kg sacks on 750 kg Euro-pallets, Class H on 1 050 kg Euro-pallets, Press in Octabins or sacks. Classes: Extra, Class 1, Class 2 and Press. Pack sizes: 25 kg sacks on 750 kg Euro-pallets, Press in Octabins or sacks. Pack sizes: Tubs or blocks. 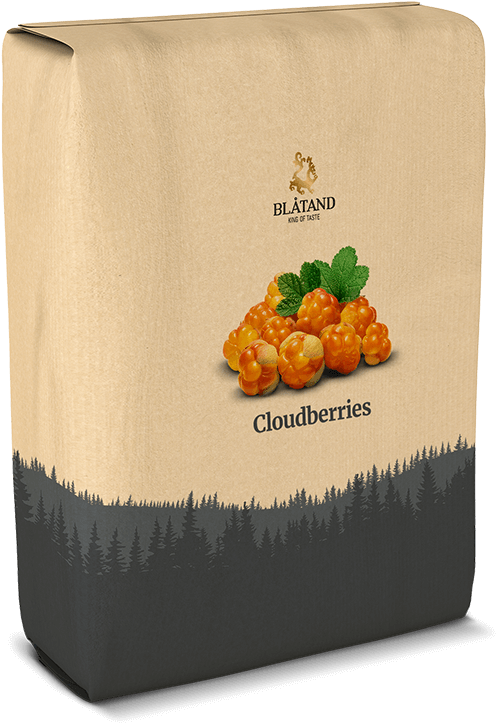 Cloudberry, bilberry, lingonberry, raspberry and strawberry. Pack sizes: 1 000 litre steel containers. Product sheet: Blåtand range for the food industry.